Play Live Blackjack - €200 BONUS = €200 Free Play! Live blackjack is seen as a new rage, but has been around for a long time in the world of online entertainment, especially in online casinos. The classic casino game that in the past was only reserved in the established casinos, is now not only found in the online casino, but also in the live casino. Online blackjack was there rather than live blackjack and nowadays the popularity of playing the card game live in the casino with real dealers has become unprecedented. 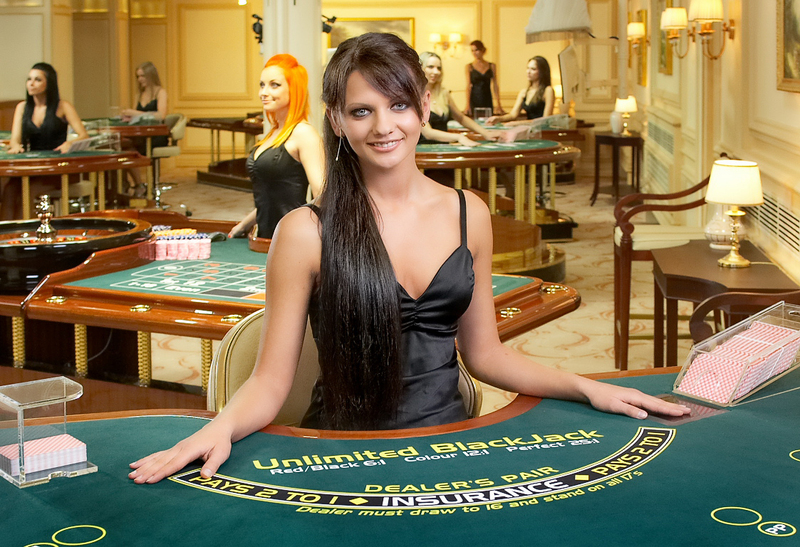 It is not surprising that more and more online casinos use the opportunity to also offer live blackjack. The automated version of blackjack has long been dominant in the world of online casinos. The playing cards had a realistic view, but the feeling of playing in a casino blackjack could not be matched by far. Playing blackjack at home on the computer is fun, but the gaming experience could not be compared to visiting a casino. With the advent of live casinos, however, this has changed. You can now have the ultimate experience as you experience when visiting a casino. Live blackjack makes that possible with a dealer that you can not only see but can also hear. If you are curious about live blackjack at the Toto it is very easy to take a look. You must have an account. Do not you have that? Then you open an account quickly. Within minutes you’ll be in the domain of the live casino and a completely new world opens up for you when it comes to live gambling. At that moment it is not even necessary to immediately participate in live blackjack, but of course that is possible if there is a spot at the table. In Kroon Casino you have the choice of several gaming tables for this card game. The regular blackjack game can be played with a live dealer, but there is also an option for live blackjack common draw. So you also have the opportunity to play extreme blackjack or make the choice for the Toto VIP blackjack. You can check all the game tables to see how things work and then decide on your choice to go live for yourself. To play for money, you must ensure that money is on your balance sheet. If you have an account, it is immediately possible to deposit money. There you get the first time a reward for the casino welcome bonus from 100% to 200 euros and as a bonus also another 50 free spins. The casino bonus can also be used in the live casino, but pay attention to the bonus conditions to see what percentage counts for free play. In blackjack that is different than when gambling on slot machines. Live blackjack dealerUpon entering the live casino you will see the live gambling environment immediately after you have selected a gaming table, including the gaming table and the live dealer behind it. In addition, you will see a chat window that aims to communicate with other players at the gaming table and with the dealer for live blackjack. He sees what is said in the live chat and can respond to it himself orally. So there is interaction between everyone who is present at the gaming table. That makes live gambling so fun at the blackjack table. It is as if there is a bit of extra entertainment and you immediately notice that there is a completely different experience. The dealer has a role in live blackjack behind the console that is the same as in a real casino. The only thing is that you do not get the cards that the dealer shares, but see on the screen. For the rest, the dealer shares the cards and takes care of the progress of the game by sharing cards on the basis of the wishes of the players or not. If everyone is at the table, it is the dealer’s turn to make a choice. The choice can consist of taking a card or fitting. For the dealer, different rules apply for fitting or taking a card than for the players at the table. For example, the obligation to take another card under a certain number of points. That gives the player just a bit more chance to win. If it is clear what the dealer is doing and the cards are on the table, it is known who won. That can be the dealer who wins from everyone at the table. It is also possible that one player wins with live blackjack, but loses another player at the same table.